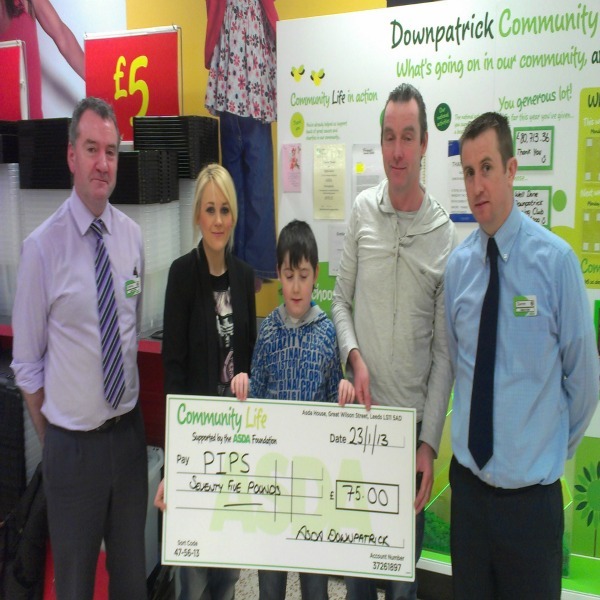 Emma McKee (ASDA Community Life Champion) presented a cheque to Eamon Murphy (Volunteer) PIPS Newry & Mourne. The funds were raised by staff at ASDA Downpatrick during a special Christmas Dress-up Day. PIPS Newry & Mourne extend sincere gratitude to Emma and the ASDA store employees Downpatrick for this generous donation.